Note: Order your terminal in our webshop! Before you begin this installation, make sure your Yomani terminal is set to the CTEP protocol. Unsure? Contact Worldline +31 (0)180 442 442. 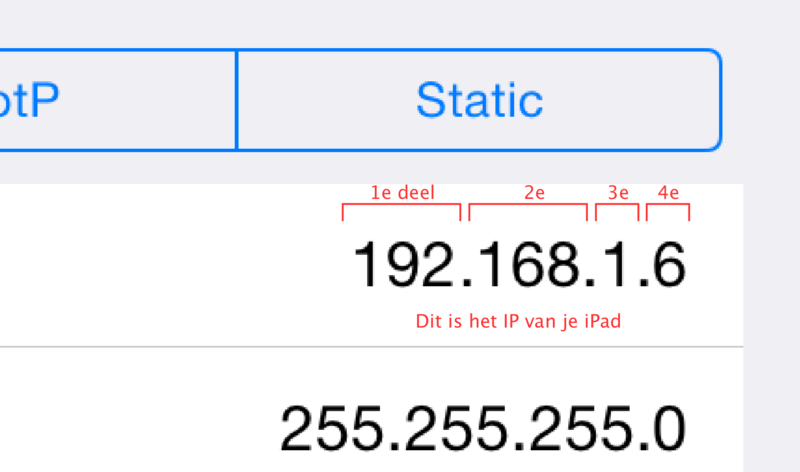 First you look up the IP address of your iPad and write it down. Use the arrows to get to the cash register you just added - choose: OK (to select the cash register). Now you see > in front of the cash register. This means that it is set as a standard cash register. Press stop repeatedly until the terminal is back at the start screen. Now all your customers can pay by card. If you have any questions, do not hesitate to send us a message!